Construction of the project is registered in the economic cycle Imperium of Diamond's, Bir Tawil, or any other federal zone, as a first step to start the development of civilization. Construction of the building is based on a system infrastructure, steel plants and metallurgical industry technology and engineering, the jewelry industry, design, and building materials, basic resources and food's or water, internet and telecommunications, according to OASIS project. Construction and establishment of basic infrastructure is minimal, several hundred thousand Euro in investment and international market, maybe a couple of few milion's Eur. Investments for the establishment of a new branch office for your corporation, it Allow me to many business association from around the world, common commercial network composed of Corporations. The result will be to provide architecture and the emergence of the city, the basic structure of civilization as planned project The OASIS, and thus of civilization first buildings of the Senate and the Government of Diamond's Imperium. The value of the new building will soon be included 800.000.000.000.000 Euro. Construction of the building material is hard metal, the pouring of gold and silver. Solid block structures that are filled with Diamonds. 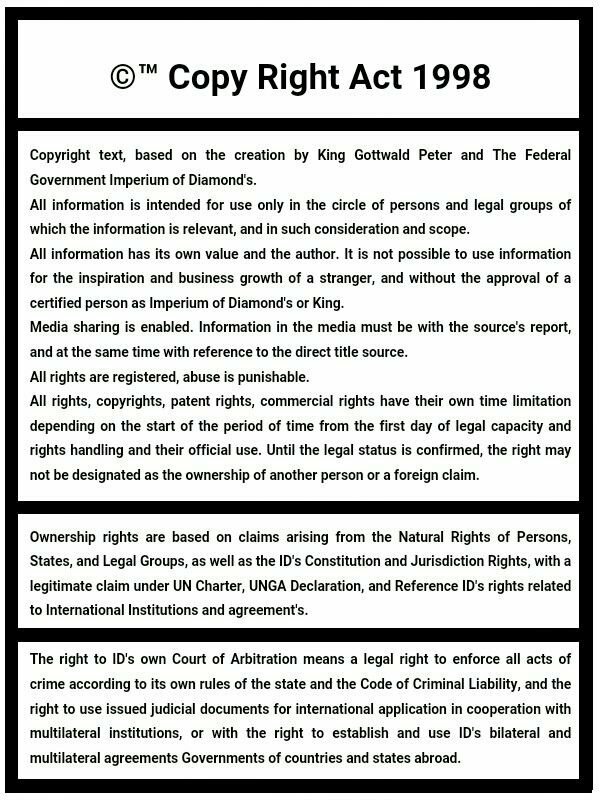 The Central Bank of Diamond's Imperium is a major center that directs the formation of a first format civilization and therefore the Bank is constantly backing the value of Diamonds and silver, gold, through a strategy development plan and budget the currency. Plan is favorable for investment in order to cooperate on infrastructure development to produce any kind of industrial, agricultural, service, and financial market, your business affiliates can be active in the richest countries of the world.